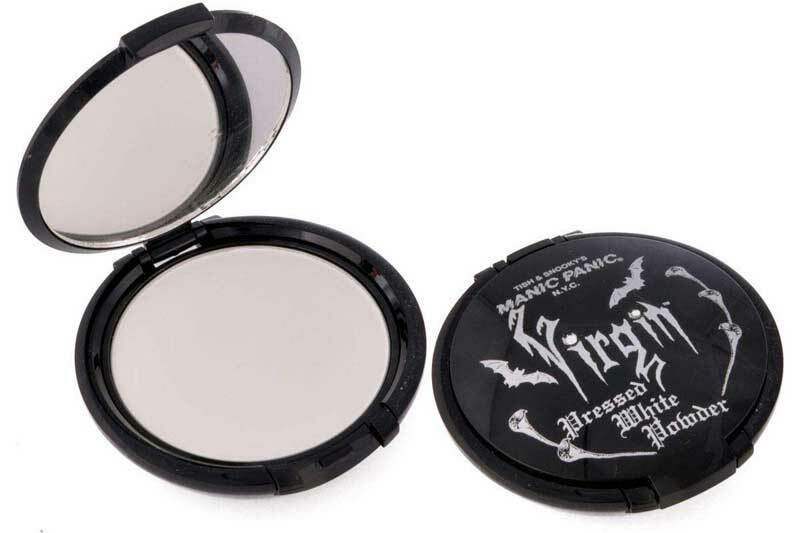 This stark white cosmetic face powder has long been a favorite of those who prefer a whiter shade of pale. By Manic Panic. Animal friendly and cruelty free :) The casing is black with artwork containing silver dripping letters, jewels, lilies and bats. 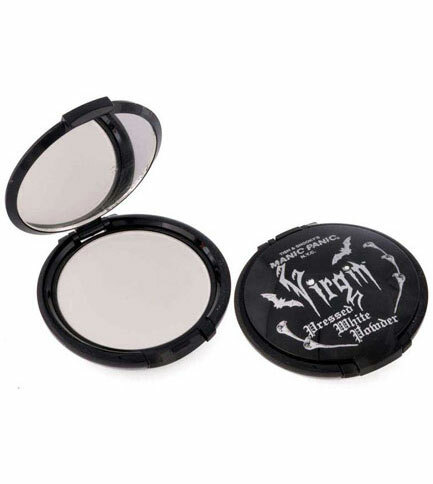 Inside: a two level compact: one with mirror and powder, another with applicator puff. The make up itself is high quality assuring light to complete coverage. This fantastic compact comes wrapped in a black chiffon bag with black ribbon drawstring. An absolute must to add to the vanity table or purse!